I am not privy to economic development deliberations in Amarillo, but I’ll presume that the city didn’t compete for a big plum that’s become the subject a major-league bidding war among 20 cities in the United States and Canada. Amazon, the big online retailer, has narrowed its search to a list of finalist cities. Two of them are in Texas: Dallas and Austin. The payoff is — to borrow a term — yuuuge for the city that wins the right to become Amazon’s second major headquarters. Why the fascination? Because little ol’ Amarillo has used this kind of incentive to lure businesses to the Texas Panhandle. In 1989, voters approved creation of the Amarillo Economic Development Corporation. AEDC then began collecting sales tax revenue generated from within the city limits. It builds a cache of money from a half-cent sales tax allotment. It then uses that money as a lure to businesses. The city has scored many hits and has had its share of misfires along the way. But it did land a big one in the late 1990s, when Bell/Textron relocated its aircraft assembly operation to Amarillo. AEDC offered Bell roughly $45 million in various inducements, including donated land and tax abatements. Bell built its plant and has been assembling the V-22 Osprey tiltrotor aircraft, along with other state-of-the-art helicopters. It lured Bell here from Fort Worth, where there was plenty of teeth-gnashing over being outbid by this isolated burg out here on the High Plains. States and the cities within them are willing to offer plenty of cash to Amazon. 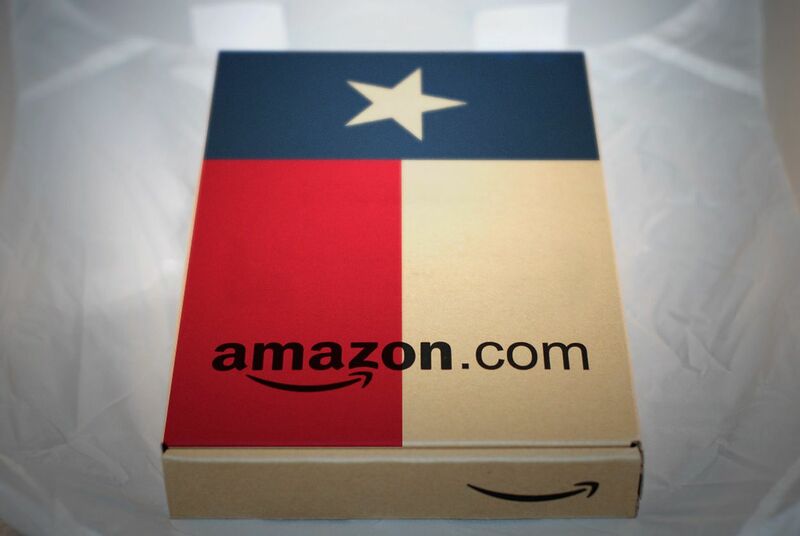 I hope it comes to Texas, not that our state needs much of an economic boost; we’re doing pretty well these days as it is — which no doubt is going to be part of the state’s pitch to lure Amazon either to Big D or the People’s Republic of Austin. If only Amarillo had a bigger base from which to operate.